Calvary Captain Countdown – 26 days until the Walkathon! This is Tabitha Beck’s 9th year participating in the Walkathon for Calvary. She first learned about the Walkathon through an insider connection – she knows Heather Laing, Calvary’s Development Director. 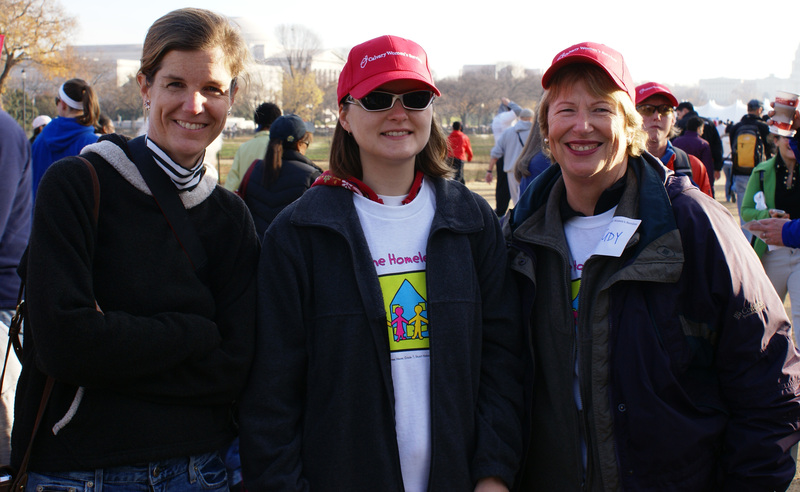 When Tabitha moved to DC, Heather asked her to participate, and she has been walking ever since! Tabitha is also well-informed on the challenges that many of the women at Calvary face. “I’m involved in anti-poverty work in my day job, so I know the statistics and know that homelessness continues to be an issue across the country, but especially in DC. Calvary’s work against homelessness is successful. They understand that the women they help need a hand up, not a hand out.” She is also an income tax assistance volunteer, helping low-income families prepare their income taxes for free during tax season. And Tabitha plans on defending her title this year as top volunteer fundraiser… Take a look at her Walkathon page (here) and help her reach her goal!